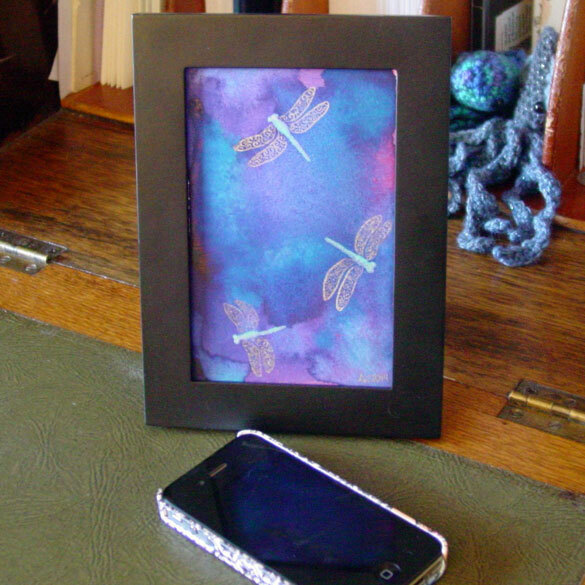 Three filigree-winged, iridescent dragonflies flit across the matte surface of this gorgeous blue-purple background. A deep pond edged with fuchsias, perhaps, or a midnight puddle lit by Chinese lanterns. Their bodies and wings are painted with a duochrome paint that catches the sunlight, changing color depending on the angle just like the real thing. 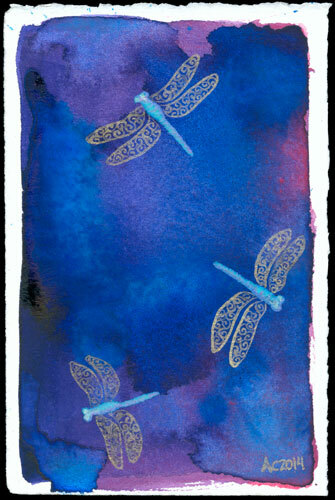 Dragonfly Trio, 6″x4″ Japanese watercolor and duochrome watercolor on Arches cover white paper. 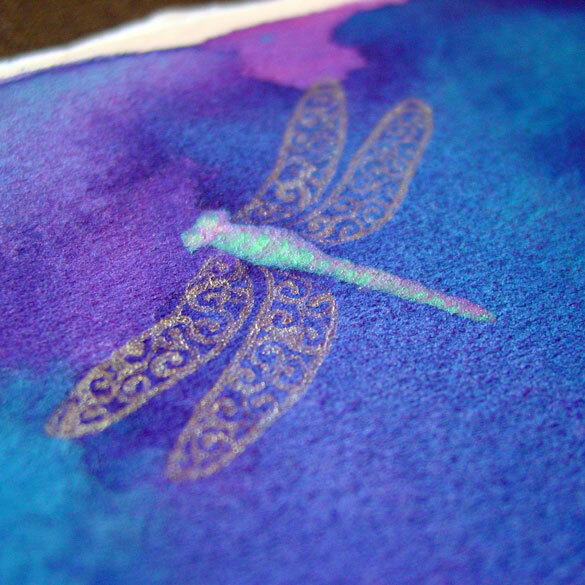 Above, you can get a hint of the way the dragonfly seems to float above the surface of the other paint when it properly catches the light. Below, it’s in a frame, reflected darkly back at itself in my phone.